Wimbledon captain Deji Oshilaja feels he is playing exactly the same role as last season – with no change in his game since being handed the armband. The defender has led the Dons since the summer exit of Barry Fuller. “Even last year I felt I was a focal figure,” the Bermondsey-born central defender told the South London Press. “Obviously at that point I wasn’t captain because we had a good captain alongside me – Barry Fuller. 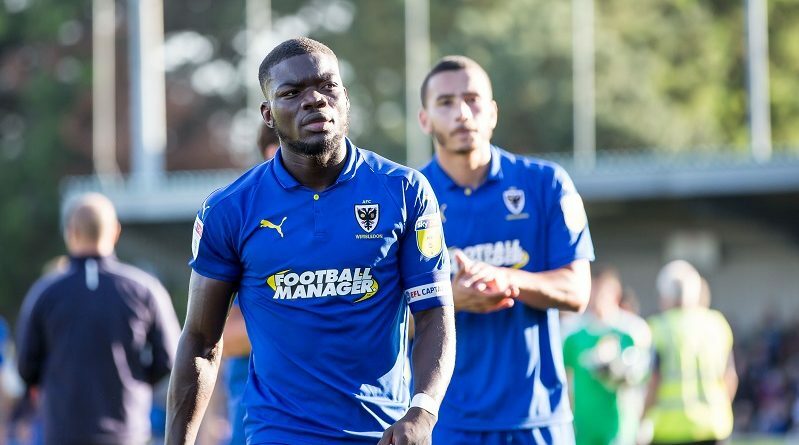 Although Wimbledon have had a difficult start to the season, the skipper says the back line has done well, despite a high turnover of players in the summer. “We’ve had four or five clean sheets this season, so we can look at that as a positive,” said the 25-year-old, who was the only familiar face on Saturday from last season’s back four and goalkeeper. While welcoming victory against fellow strugglers Oxford at the weekend, Oshilaja insisted that the players don’t look at the league table. The Dons host Bradford on Tuesday before going to bottom club Plymouth on Saturday. “You have a lot of pressure that you put on yourself as players,” he said. “I can’t really afford to look at the table. I’m sure we’ll evaluate when we get to Christmas and then we’ll go again from there. I wouldn’t say it’s a six-pointer game [against Oxford] because it’s still very early in the season, we’re just getting our heads around Tuesday now.